Let us continue the walk along the diverted route 7 on a sunny October day. 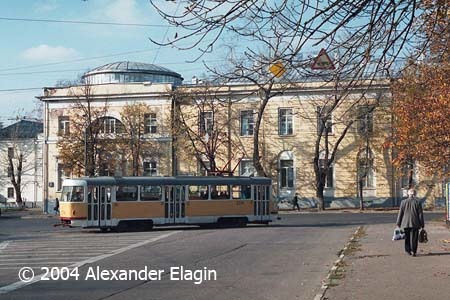 Aviamotornaya Street changes its name to Soldatskaya St. nearby Sputnik cinema, seen in background of this photo. The cinema does not resemble stylish multiplexes, but it has its own modest value. 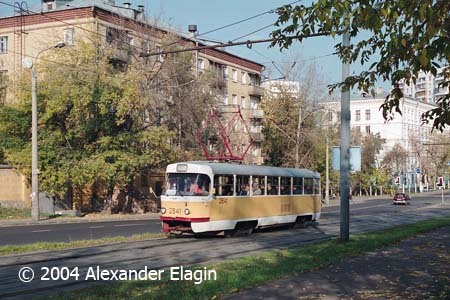 The line makes a right turn to Gospitalniy Val Street from Gospitalnaya Square. 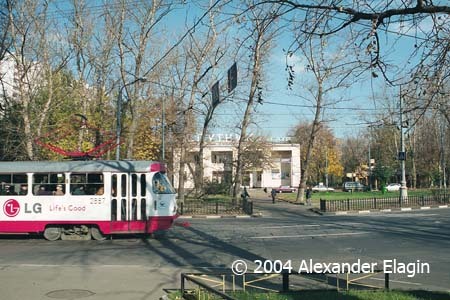 T-3 #2841 runs in Gospitalniy Val near its crossing with a street named Novaya Doroga Street (i.e. New Road in English). 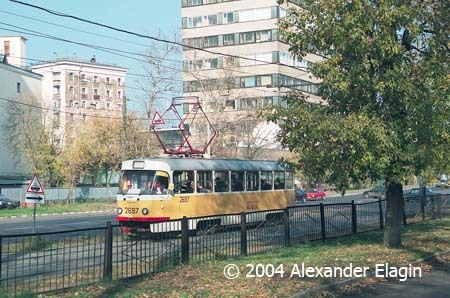 T-3 #2697 in Gospitalniy Val. T-3 #2816 is making a turn from Izmailovskiy Val St. to Izmailovskoye Shosse. 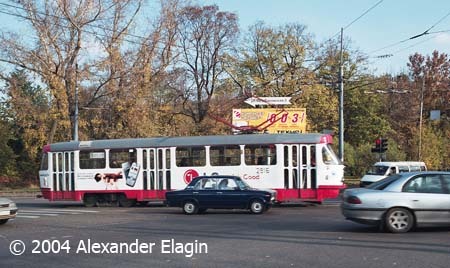 A little way away from this place the line meets another one in Semyonovskaya Square, and Tatras are not uncommon there as many of them work on a busy route 11.